Fun Adventure Friday: Indoor Fun with Cheap Movies! Yet another disgustingly hot summer is upon us. Not even the kids want to go outside right now, but I desperately need to get the boys out of the house. I’ve known about the Summer Movie Express at Regal for years now but have never been brave enough to take the kids. 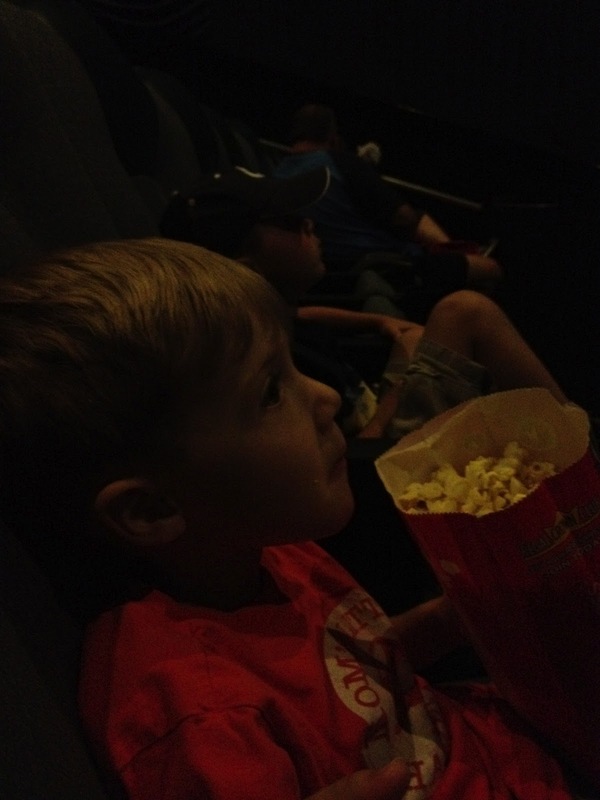 Neither of the boys have ever been to a movie in the theater because I was always afraid of spending all that money just to have to leave because it was too loud or they got board. Then I was afraid of trying to wrangle both kids alone at the theater. With this being the summer where I get out and try new things I decided to give it a try. The worst that could happen is I’m out three bucks. Summer Movie Express…where have you been all my life?!? Can you really beat $1 a person to go see a movie in the theater? I was worried about how crowded it would be, but they actually had the movie showing in three different theaters at the same time so there was plenty of room to stretch out and not bother anyone else. We paid twice as much for the popcorn as we did for the three of us to get into the movie but for the three of us to see a movie with popcorn for less than ten dollars it’s a bargain. Most mothers brought their own snacks and I’m not sure how Regal feels about that but it’ll sure save you a ton of money. 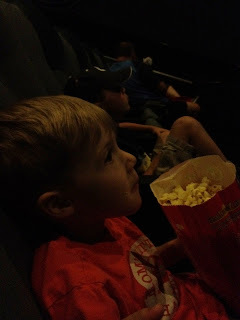 If you’re thinking about taking your kids to the $1 movies you should know that they are not first run movies but the kids don’t seem to mind it. 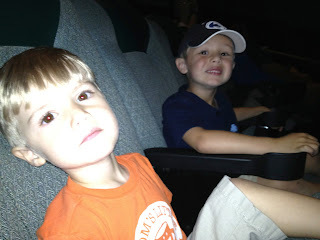 The boys loved the experience of going to the movie theater, munching on some popcorn and seeing a movie on the big screen. Thankfully we didn’t have a million trips to the bathroom, just once before and once after. The boys were so riveted by the movie that they didn’t want to miss a thing. That was another reason I was hesitant to take them to a movie, I was worried wed spend most of the time in the bathrooms. If you’re looking for something to do with the kids on a Tuesday or Wednesday morning we highly recommend the Regal Summer Movie Express. The show time is early enough that it doesn’t kill the entire day and you can make it home in time for naps. We even made an afternoon out of it and went to lunch when the movie let out. The Summer Movie Express runs for nine weeks, so there is still time to get the kids out and see a movie. 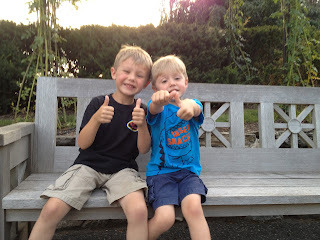 Even though the movie was something the boys had seen before they gave the whole experience four thumbs up!